Marsha Ward was born in Phoenix, Arizona, and although she spent two years in South America, she never roamed far from the Southwest, where she currently lives near Payson, Arizona. Marsha is an award-winning poet, freelance writer and editor whose published work includes three novels, two collaborative non-fiction books on writing, and over 900 articles, columns, poems and short stories. Her novels, The Man from Shenandoah, Ride to Raton, and Trail of Storms, received rave reviews from both readers and reviewers. 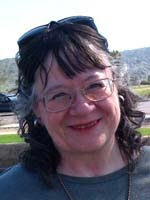 Her website is at http://marshaward.com, and she regularly blogs about writing and life at “Writer in the Pines,” found at http://marshaward.blogspot.com and "The Characters in Marsha's Head" at http://charactersinmarshashead.blogspot.com. Marsha: According to my older sister, I wrote from the time I could hold a pencil. I believe her. There's never been a time that I didn't have some kind of story to tell. I was editor of the 4th Grade class newsletter. I wrote a play about that time. I wrote screenplays for our film club during my high school years. And of course, the infamous "Great American Novel" began its life in 1965. I didn't get the commercial I-think-I'll-actually-let-other-people-read-my-work bug until the 1980s though. Marsha: I have a couple of years of college education, but no degree. However, when my 6th grade teacher asked us to raise our hands if we thought we could self-educate if schools disappeared, I was the only one who did. Those were the days pre-dating the Cold War, when we did duck-and-cover drills under our school desks (as if that metal and wood piece of furniture could save us from the Atomic Bomb!). I've believed in continuing education all my life, and I'm always learning something new. I've taken several writing courses or classes, ranging from mail order lessons to community classes to summer college retreats to one-on-one instruction. I read 150 books for background information for my first novel. Marsha: I so love indie publishing. It's a one-on-one opportunity for the writer to connect with a reader, without someone saying their publishing list is filled for the next three years so they can't use your work. I'm a bit of a rebel, I guess. The advent of widespread availability of electronic books is right up my alley. I only held off putting my work on Kindle because 1) I told myself it had to wait until I finished my current novel, and 2) I heard it was difficult and I didn't want to tackle the learning curve. It's actually quite within my skill set, and I should not have waited so long. Therefore, I must say I'm passionate about connecting with readers, and having them enjoy my work. Marsha: I began my "Great American Novel" in 1965, when my train to opera stardom took a detour and I had to give up my full-ride music scholarship and come home to help out financially. I created a huge Southern family, wrote what was, essentially, a twenty-chapter narrative outline, and lugged it around with me for the next 35 years or so. Then my interest in writing commercially got very keen when I read a truly badly-written book. "I can do better than that!" I exclaimed, and hauled out "The Book." I eliminated some children, found some juicy conflict, read 150 books for background, and worked on the novel for a while. I took classes in fiction writing, and started sending the novel out to editors as I wrote the sequel. I even had an agent for a year. I was getting some good rejection comments, but no offers. I decided a re-write was in order. Then life happened. My daughter was killed in an auto accident. My creativity dried up. It didn't come back, oddly enough, until my husband died. He was my biggest supporter, and I'm eternally grateful to him for that. Then life happened again, and during a health crisis, I determined to leave published works behind, even if I had to publish them myself. I polished up The Man from Shenandoah and Ride to Raton. 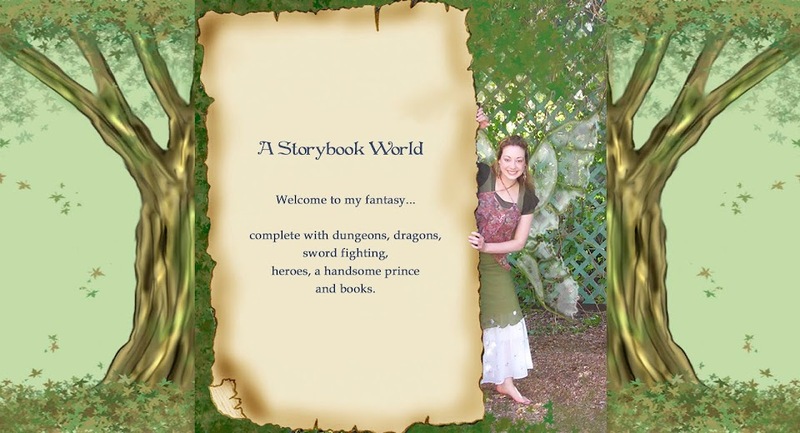 Because I didn't want to start a publishing company, I chose to use the cheapest services available from iUniverse, and get feedback from writers and readers I knew. 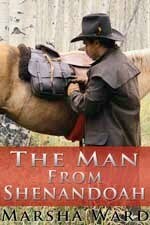 When The Man from Shenandoah appeared, I hand-sold a bunch of copies, and lo and behold, other readers liked it! Several months later, I brought out Ride to Raton. 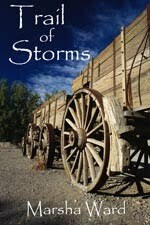 Trail of Storms took a while to write, but was published in 2009. I'm working on the fourth novel about members of the Owen family, Spinster's Folly. Fortunately, I survived the health crisis. Marsha: I'm often discouraged. It's part of the writer's makeup. I have to muddle through, with a lot of prayer and communicating with other writers to get my balance back. Marsha: I'm supposed to have a schedule? Marsha: I get ideas from all over. Mostly I see something in real life, or I read something that interests me. I put ideas into my "idea folder," then I mix them up, asking "what if?" If a particular idea sticks around, I know I can write about it. Deirdra: Can you tell us a little about your book Trail of Storms? Jessie Bingham put heartbreak away to tend to her sister's needs, but when she settled for second best in love, she didn't foresee that James Owen would come back into her life. The aftermath of the Civil War creates cruel circumstances for the Bingham family. A brutal attack on Jessie's sister, Hannah Fletcher, drives the extended family to flee to the West. They are soon joined by Heppie Bingham's beau George and his brother, Ned, who bring news that the Binghams are being pursued by cronies of Hannah's attacker. Even after they fight off that onslaught, poverty, bad weather, and Hannah's frightful secret plague their journey. Nursing her battered heart when she hears James Owen took a wife, Jessie accepts Ned's offer of marriage, but puts off the wedding until they reach Albuquerque. Then a stop on the trail holds surprises that launch Jessie into a bewildering tangle of values, emotions, and high adventure. Deirdra: Can you tell us a little about the LDS Storymaker "Secrets" books. Marsha: Hope. I had an epiphany several years ago when I realized that I write to let people know there is always hope, and to show them through the experiences of fictional characters that they can get through hard times, even really, really terrible times, and find happiness at the end of it all. Marsha: Once I have a vague idea of what I want to write about, and who will inhabit the story, I sit down and begin. Then, as the story takes shape, I have some very dear friends who are fantastic brainstormers. I talk things out with them. It's am immense help. 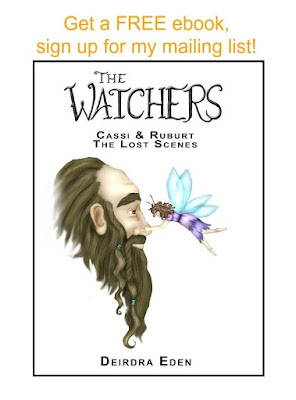 All writers should have such fabulous resources! Marsha: That terrible sound you hear is me groaning in agony. Yes, I encounter snags. My favorite way of dealing is to avoid and procrastinate, but that doesn't get the book written. The best way is for me to set very low expectations for myself so I don't self-sabotage. A lot of highly creative people have oppositional defiance, and I find that tendency is well-developed in me. To counteract it, my goal is often to write 25 words a day. I could do that on a sheet of toilet paper, right? Surprisingly, it works. Marsha: Right now, I'm listening to the music of my dryer drum turning. I don't need absolute quiet, but since I'm very easily distracted, music with lyrics is a no-no. I use instrumental music to get me in the proper mood for certain scenes that could be hard to write. Exceptions to the no-lyrics rule? Neil Diamond and "Sweet Caroline." That will put me in the mood. Marsha: Mindless activities are great for letting the mind wander while I accomplish a task. Taking a walk, taking a shower (water seems to inspire, or relax or something), getting enough sleep so the characters come to talk to me. Marsha: Wow! I've had a lot of influences through the years. However, I'll have to say that my eternal companion, Robert Ward, made the greatest difference. He believed in me. He supported me. He made it possible for me to live where I do and have the time to write. Unfortunately, he died to accomplish that. Marsha: I get to know them very well. I have a sheet of questions I fill in about them, and I also interview them. Then I don't overwrite them with too much description. I let their actions define them, instead. That way, the reader invests the characters with their own unique qualities and peculiarities, and they come alive in the reader's mind. Marsha: Robert Newton Peck, whose writing contains the unexpected elements. Louis L'Amour, for his fastidious research. Elmer Kelton, for creating great characters. Frank Roderus, whose titles always have a multitude of meanings. Marsha: Some kind of juice and Special K protein bars. I'm trying to cut back on sweets and chocolate. Marsha: I'm musical, both vocally and instrumentally (piano, organ, guitar, viola). I get to use the piano and organ talents every Sunday, and the voice in choir. The others, not so much anymore. I'm not artsy-craftsy at all. I dabbled in oil painting one year, but not much came of it. I smile a lot. Marsha: Two words: Indie publishing. There's nothing stopping a writer from making the connection directly to the reader anymore. Read the blogs/websites of JA Konrath and Dean Wesley Smith. Google will find them for you. Marsha: I'm writing Marie Owen's story in a book entitled Spinster's Folly. Believing she's getting too old to attract a husband in a location with few choices, Marie takes a desperate gamble that goes very badly wrong. 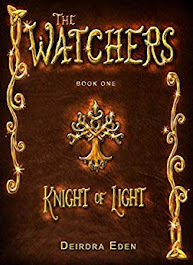 Marsha: All the online booksellers, such as amazon.com and bn.com, have the trade paperback books. The easiest way to find all my online eBooks is to go to my author pages at Smashwords: https://www.smashwords.com/profile/view/marshaward and at Amazon: http://www.amazon.com/Marsha-Ward/e/B003RB9P9Q/ The eBooks are also on Kobo Books, and Diesel Books, in Canada. Marsha: I'll address this to writers: Believe in yourself, but learn all you can about writing, too. No first drafts are set in stone. Don't hang around negative people. Write at least 25 words a day. Listen to people to learn the flow of language. Find a good, encouraging group of writers who will show you the ropes. Read, read, read! When you start writing in earnest, find a good critique group. Reach down and help another writer along the way. Is that enough? Thank you for the lovely interview, Deirdra! It was fun to do. Marsha, You're my hero! You are an amazing woman! I will forever be grateful to your insight and inspiration.